Home to innovative and eclectic brew towns such as Beer City USA – Grand Rapids – as well as beer-centric communities such as Ann Arbor, Detroit, Kalamazoo, Marquette, Lansing Traverse City, and Ypsilanti, Michigan stands at fifth in the nation for having the highest number of breweries, microbreweries, and brewpubs. 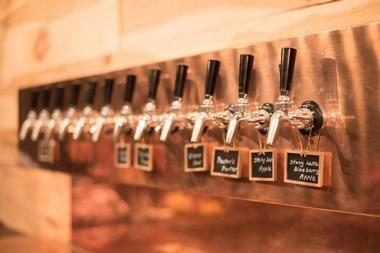 Boasting glacier rich soil and bolstered by the Great Lakes, the state is a brewer's paradise. 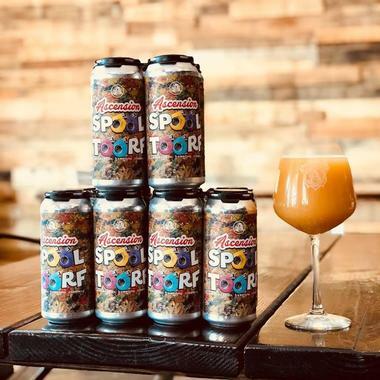 Located in Novi, Michigan, Ascension Brewing Company is a neighborhood brewpub offering a selection of rotating craft ales and an innovative tap list, along with locally sourced and sustainable bar bites in a relaxed and friendly setting. Founded in 2015 with a mission to provide the freshest, most flavorful and imaginative craft beer and food possible, the microbrewery offers a range of brews, including Cherry Sanders Blonde Ale, Kilgore Stout (Nitro), Cucumberland Blues Sour Gose, The Phoenix Red Ale, Midnight Sun IPA - Black / Cascadian Dark Ale, Rumpus Time Saison / Farmhouse Ale, and TiHKAL IPA - New England. Ascension Brewing Company is open Monday through Sunday, at various hours, and offers a Happy Hour Monday through Thursday. Bad Brewing Company is a microbrewery in downtown Mason that produces a range of over 20 tap brews and one rotating cider, all of which are brewed in-house. The brewery features a beer garden with a cozy fireplace and hosts live entertainment in the evenings such as comedy, trivia, and vinyl nights. Bad Brewing Company’s draft list includes BAD 'Cause I Got Rye – a West Coast Rye IPA; BAD Dry Hopped Apple Cider with Mosaic Hops; BAD Grape Cider – a Fruit Cider; BAD Hibiscus Gose; BAD Hop Resolution – a Double IPA; BAD Hoppin' on Da Bandwagon - NEIPA; and BAD I'm A Dragon – a Lactose IPA. Food trucks provide fresh, local artisan food throughout the week, and the brewery and tasting room is open Monday through Sunday at various hours. 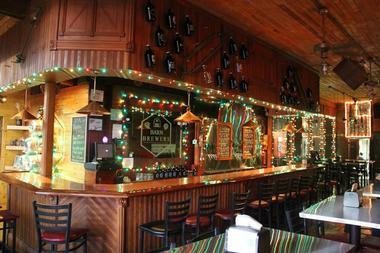 Barn Brewers Brewery is a microbrewery in Lawton, Michigan that was born from a love of beer. Once a legendary place back in the 80s, the Barn was a famous gathering place where friends, old and new, could sit back, listen to good music and drink beer. Today, Barn Brewers Brewery continues that tradition by offering a friendly, inviting space for people to come and relax, drink great beer, and enjoy good music. Signature brews include Training Wheel, Bourbon Barrels, Barn Light Smash, Farm Boss, The EPA, Push Mower, and Maintenance Shed, among others. Authentic Mexican and the barbecue-inspired food are provided by Bomba’s at the Barn for lunch on Fridays and Saturdays. 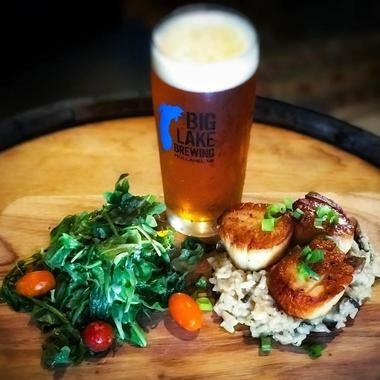 Founded in 2009, Big Lake Brewing was the brainchild of three engineers living in Holland, Michigan, two of whom were devoted homebrewers for years, working out of a garage with a half-barrel Sabco Brewmagic system. As the hobby grew into a business, the system eventually turned into a three-barrel system and later a seven-barrel system with a small canning line, and the garage was transformed into 3000 square foot pub with sixty seats. Today, the brewery is based in a 7000 square foot brewery with a full kitchen and has a production facility with a fifteen-barrel brewhouse that produces a range of brews and ales, including a classic amber ale, Michigan Amber, New England IPAs called Blood Orange Haze and Lake Haze, a juicy IPA called the Breakwall IPA, and a traditional Shandy known as Lake Shandy. 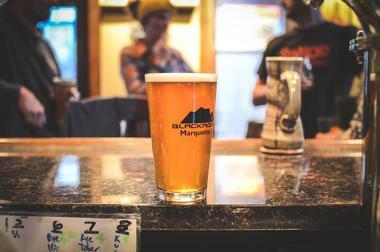 Located in a small house in Marquette, Blackrocks Brewery is a mellow microbrewery with a friendly neighborly ambiance, a taproom offering craft beer, comfortable outdoor seating, and live music throughout the week. Blackrocks Brewery brews on the original 1 BBL system along with the 3 BBL pub system and 20 BBL production system, producing signature beers such as 51K IPA, Grand Rabbits, Coconut Brown, Classic Pilsner, Flying Sailor, Nordskye, Honey Lav, Potter’s Porter, and Gnomas. Blackrocks Brewery’s tasting room is open Monday through Sunday at various hours. Brewery Terra Firma is a production brewery and modern taproom with a scenic patio offering sustainably-produced craft beer and a BYO-food policy. Located on 10 acres of land in Traverse City, Michigan, the brewery is a MAEAP certified farm that produces delicious, culinary-inspired beers using sustainable methods. The brewing process uses an innovative water capture system that reclaims over 185,000 gallons of water from the manufacturing process for reuse as irrigation and fertilization on the farm crops. Signature beers include Soul Butter Triple IPA, Black Bikini Coconut Porter, Manitou Amber Ale, and Sun Cup Lemon Wheat, all of which can be tasted in the taproom, which is open Monday through Sunday at various hours. 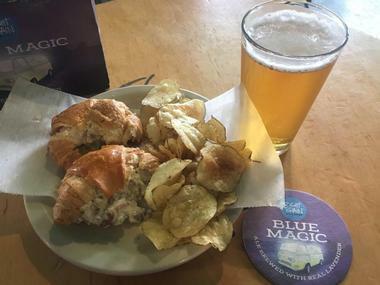 The brewery also has locally-made snacks and sodas available for purchase, or visitors bring along a meal from their favorite eatery. Dearborn Brewing is a small microbrewery on Michigan Avenue in Downtown West Dearborn that brews handcrafted beers with an on-site taproom. 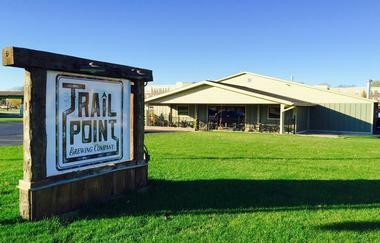 The locally owned and operated microbrewery produces eight beers on tap, including West Village Wit - 2018 Witbier, Hizzy Biscus Wheat Pale Wheat Ale, Pretentious Toad Belgian Tripel, and a range of specialty beers such as Brown Bruin - Batch 2 Sour - Flanders Oud Bruin, HIIPA IPA - Imperial / Double, and a Belgian Table Beer. Beers can be enjoyed by the 5oz glass, 16oz pint, flights, growlers and in kegs to take home. Dearborn Brewing is a carry-out friendly establishment, so visitors can bring in their favorite food to enjoy with their favorite beers. 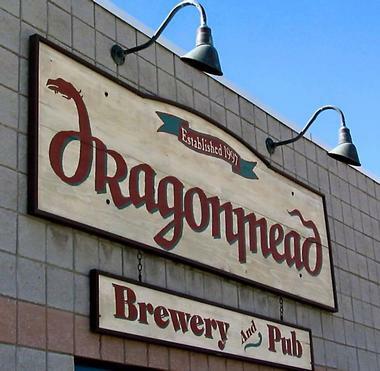 Founded in 1997, Dragonmead Microbrewery is a medieval-themed craft brewery offering a wide range of brews, ranging from German lager and ale, to English ale, and Scottish ale, including mead, and a hearty food menu. Signature brews include the award-winning Final Absolution, an English-style Crusader Dark Mild Ale that was a World Beer Cup gold medalist, Crusader Dark Mild Ale, Erik the Red, and Russian Imperial Stout. The décor is renowned and features stained glass windows, two sizeable vitreous glass tile mosaics and a copper-top back bar with custom oak cabinetry with a plethora of unique beer tap handles. The brewer also produces and serves its root beer and sodas and operates a kitchen with a specialized menu designed to accompany the variety of beers available. Fenton Winery & Brewery an award-winning and innovative microbrewery and Winery located on the north end of Fenton offering craft wines and beers, delicious food, and live music and other entertainment. 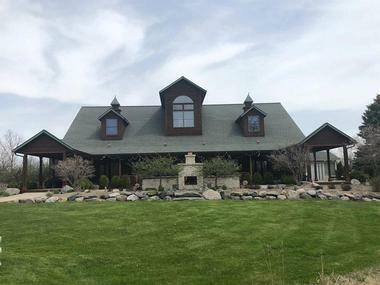 Founded in 2007, the Fenton Winery & Brewery features a taproom open to the public six days a week, where visitors can taste signature beers and wines, such as Fenton Light, Ignescent Amber Ale, Unbridled IPA, Staggering Bull, Head-n Collision, and Eminent IPA, among others. The establishment also features a sprawling 1.25-acre park-like Wine and Beer Garden, a full-service banquet hall and a retail store for homebrewing supplies and carry-out essentials. Liberty Street Brewing Company is a locally owned and operated microbrewery that produces small-batch ales and lagers with a taproom and a creative food menu. 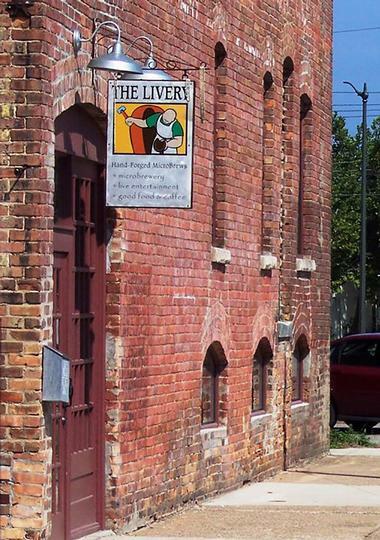 Situated in a minimalist, industrial-style space with brick walls that evokes the quintessential Midwest taverns of a bygone era, Liberty Street Brewing Company produces inventive craft brews in complex flavors using local hops, like the Pooh Bear honey porter, the seasonal Key Lime Gose and Oktoberfest, and the Eagle Eye IPA. Located on the heart of Plymouth, the Liberty Street Brewing Company regularly hosts tastings, live music from local acts, and vibrant trivia nights. © Mountain Town Brewing Co. Founded as a premier restaurant called Mountain Town Station Brewing Co. & Steakhouse in 1996, Mountain Town Brewing Company has grown in leaps and abound to become an entity unto itself. 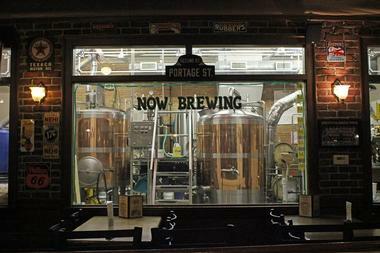 The now microbrewery and wine cellar is strictly manufacturing and packaging using the same recipes that have been successfully developed for years at the brewpub, with signature brews such as Cow Catcher Red Ale, Gamblers Golden Ale, and Railyard Raspberry Wheat, which can sampled at the facility or found in restaurants and bars across Michigan, Indiana and Ohio. © Old Boys’ Brewhouse Inc.
Old Boys’ Brewhouse is a family-friendly brewpub that produces handcrafted beers, along with a creative menu of American cuisine and live music on weekends. 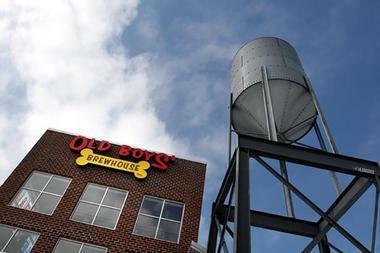 Located on the Shore of Spring Lake, Old Boys’ Brewhouse has been dedicated to producing only the finest hand-crafted ales using the freshest ingredients since 1997. Boasting a fun, canine-oriented theme which is attributed to the memory of a Chocolate Labrador, known as ‘Old Boy.’ Signature brews include Conner’s Kolsch, an authentic German-style golden ale; Lucky Marge’s Large Lager, a take on the Oktoberfest Lager with rich malt and toasted flavors; Attaboy Amber, an amber lager; and the popular gluten-reduced Old Boy’s Brown Ale. Olde Peninsula Brewpub & Restaurant is a historic brewery and taproom that produces and serves house brews, delicious homemade fare and offers tasting and tours of the brewery. Located in Kalamazoo and its first brewpub, Olde Peninsula Brewpub & Restaurant was the first restaurant in the area to brew its beer, something it has been doing since 1996. The establishment features a relaxing indoor and outdoor environment for relaxing, drinking great beer and enjoying delicious food. Olde Peninsula Brewpub & Restaurant produces signature brews including Tornado IPA (2018) IPA, Spanish Cedar Wood Aged Tornado IPA, Rockin' Razberry Wheat, Peanut Butter Mocha Stout, and Midnight Stout. Olde Peninsula Brewpub & Restaurant is open for lunch, dinner and late night, seven days a week with Happy Hour Monday through Saturday. Founded by Brad Sancho in 2008 whose passion for homebrewing led him to leave a strong engineering position to realize his dream of opening a microbrewery. Located in Milan, Original Gravity Brewing Company is a small town, a family-friendly microbrewery that produces a range of beers from classic styles to experimental brews and serves delicious deli sandwiches. The brewery uses a seven BBL stainless steel brewing system to produce signature beers such as Southpaw IPA, an American IPA; Primordial Porter, a robust American porter; County Street Amber, a bold American amber; Cold Lampin’ Lager, an American Pilsner; and MCW Porter, a coffee porter. The brewery also features an old-school arcade game, flat-screen televisions for catching the game, and a spacious outdoor patio which hosts live music on warm summer nights. 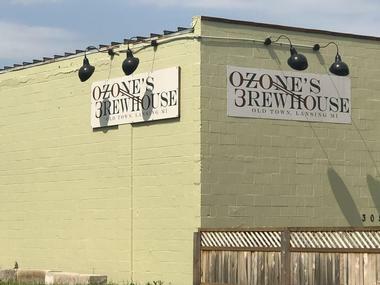 Ozone's Brewhouse in Old Town Lansing is a father-son collaboration between Dan and Kyle Malone that has been producing self-designed, inspired craft beers since 2010. The brewery’s beers range from typical pub-style beers like the house porter and session beers to drink all day long like the sage cream ales to the mouthwatering barrel-aged wonders like the barrel aged Amarillo black IPA. Located in an old warehouse, which has been transformed into the brewery and tap room, the taproom features a pleasant outdoor beer garden and the back bar from the old mustang lounge, an old town landmark. Ozone's Brewhouse offers 11 beers are on tap, five house beers and six rotating beers, including Lemongrass Walkman Wheat, Sage of Ales Cream and Kryptonale Cherry Vanilla Amber, all of which can be enjoyed in the taproom which is open Monday through Sunday. 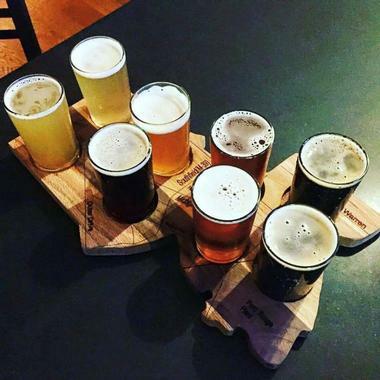 Located in downtown Grayling, Paddle Hard Brewing is an airy, wood-filled gastropub serving handcrafted and regional craft beers and a variety of delicious flatbreads. Signature brews include Petoskey Horny Monk Belgian Dubbel; Roak Chestnut Head Chestnut Maple Porter; Paddle Hard Townie Lite Light Pilsner; Bell's Two Hearted American IPA; and Founders All Day IPA Session IPA. Top sellers include Meat You at the Finish Line, BBQ Chicken and the Thai’d Up Paddler. Paddle Hard Brewery also features a wine tasting room and a great art gallery with works from the local AuSable Artisan Village on display. 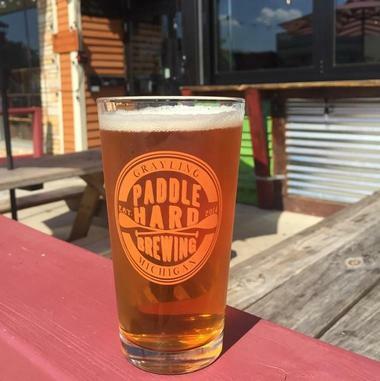 Paddle Hard Brewing is open Monday through Sunday, and hosts live music and other events throughout the year. 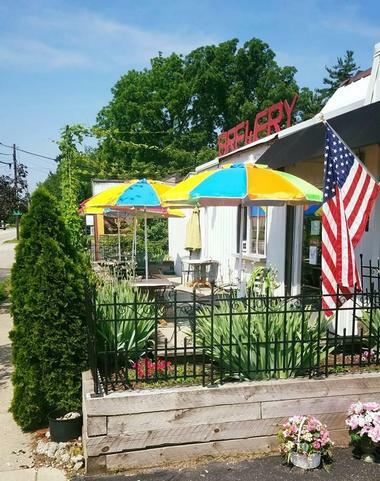 Established in early 2010, Paw Paw Brewing Company is a locally owned and operated brewpub in the small village of Paw Paw on the banks of the Paw Paw River that produces a range of handcrafted brews and ales. Founded with the aim of becoming a gathering place for the community to come and relax, drink great beer and eating delicious food in a friendly atmosphere, Paw Paw Brewing Company produces a range of beers, including Black River Oatmeal Stout, St. James English Mild, Paw Paw Wheat and 2Paws IPA, among others. 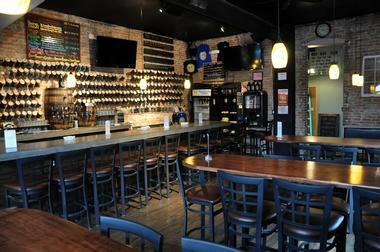 The brewery features barrel table bases and a menu of simple fare, along with occasional live music in the evenings. Right Brain Brewery is a quirky microbrewery that produces serves a variety of distinctive, colorful, and energetic brews in a vibrant setting. 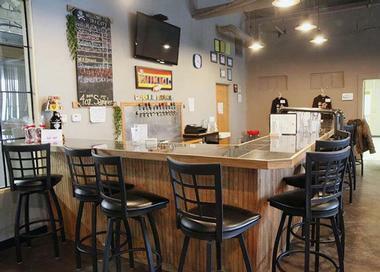 Founded by Russell Springsteen in 2007, Right Brain Brewery opened its doors in Traverse City's Warehouse District, later moving to Traverse City's SoFo District, where it now produces and offers nearly 40 beers on tap at all times, and in bottles and cans. Boasting zany labels and cans, Right Brain’s complex brews range from a pie-inspired series – think flavors like apple, blueberry, cherry, and pecan to their beet saison named Schrute Farms, and a variety of natural ambers, pales, stouts, and IPAs. Several food trucks supply delicious freshly prepared food to accompany the mouthwatering beer. © Stony Lake Brewing Co.
Stony Lake Brewing Company is a low-key brewpub offering tastings of its handcrafted American ales in beer flights, cider, and growlers to go. Named after the owner’s favorite place on earth, Stony Lake Brewing Company was born out of fond memories of summers spent on Horseshoe Island in Northeast Ontario. Husband and wife team, Jerry and Heidi founded the company in 2014 and have been producing inspired brews ever since, with an emphasis on American Ales and fresh, clean flavors. 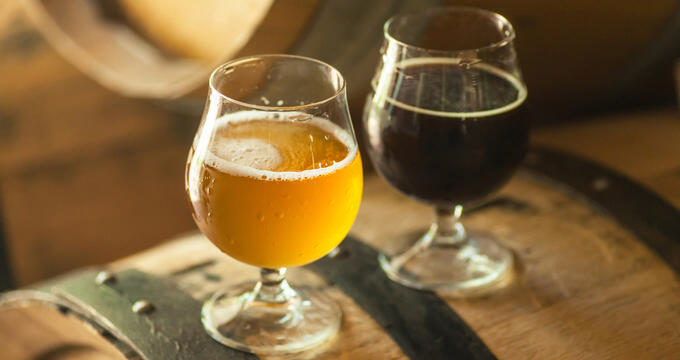 Signature beers include Centennial IPA, an American style IPA; Dirty Deacon, a strong Scottish Ale; Easy Ryeder, a rugged IPA with fruity, citrus and herbal hop notes; Eleven Hour, an American IPA; and Fat Cat Porter. Stony Lake Brewing Company is a carry-out friendly establishment, so visitors can bring in their favorite food to enjoy with their favorite beers. 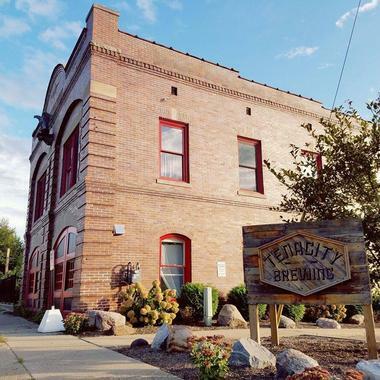 Tenacity Brewing is an offbeat brewpub in Flint and the only brewery in the town. Set in a renovated firehouse with a lovely outdoor patio in downtown Flint, the microbrewery was the brainchild of several friends, who put their heads and hearts together and opened the brewery in 2015. Tenacity Brewing produces a range of extraordinarily creative beer such as Tenacity Light, Irish Red, Milk Stout, Honey IPA and more. Seasonal outdoor seating is available with lovely views over the Flint River, and a small menu of creative cuisine is available to accompany the complex and delicious beers. 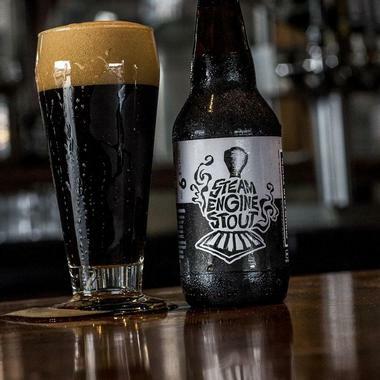 The Filling Station Microbrewery, a family, owned and operated business, dedicated to producing and serving the highest quality of handcrafted brews and food, along with friendly and knowledgeable service. 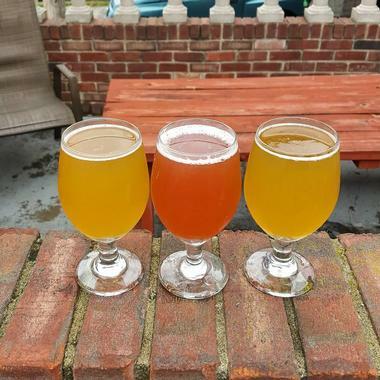 Founded in 2012, the Filling Station Microbrewery is located just off the TART Trail in the historic railroad district and features a rotating list of up to 10 craft beers, which are paired with homemade flatbreads and deliciously crisp salads. The establishment boasts a casual pub-style setting with lovely views of Boardman Lake from inside the pub or out on the patio and welcomes patrons of all ages. Unique aspects include the occasional train passing by and live music which is hosted throughout the week. The aptly named Livery is a pub and café set inside a converted stable that serves handcrafted microbrews, wood-fired pizza, and live music in a relaxed, family-friendly setting. Located in the Arts District of downtown Benton Harbor, The Livery features 18 taps of hand-forged beer, a kitchen featuring salads, sandwiches, and spent-grain pizzas made with the freshest locally sourced ingredients, and an outdoor and pet-friendly beer garden. Signature brews include McGilligan's IPA, Silver Queen Lager, Lotus Pale Ale, and Harbor Shores Amber Red Ale, and music and other live entertainment are regularly featured on the Livery Stage. 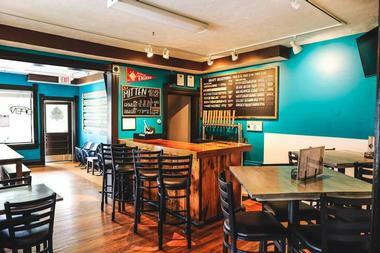 Set in a restored Victorian-era firehouse featuring vintage baseball-themed décor, the Mitten Brewing Company is a unique craft brewery and pizzeria with a warm and welcoming ambiance. 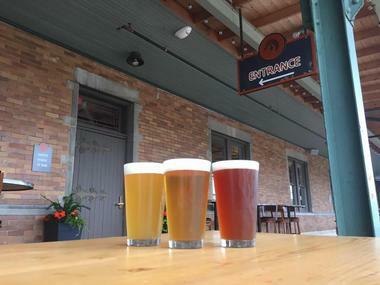 Founded in November 2012 by two friends, the microbrewery is situated in the historic Engine House No. 9 and has a distinct focus on community involvement and charitable giving. The Mitten Brewing Company has two taprooms and bi-level outdoor decks with the ability to seat up to 200 visitors. Signature beers include the Triple Crown Brown, the Mitten Pale Ale, The Stretch Golden Ale, Relief Session IPA, and West Coast Swing Red Ale, among others. 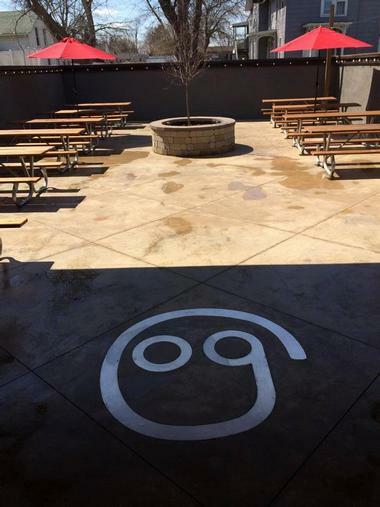 Founded by Gary Evans Jeff Knoblock and developed in the Muskegon Ottawa Brewers homebrew club, aka the MOB, Trail Point Brewing Company was inspired by a desire to connect with the community of Allendale, and craft brewing enthusiasts. Named for the young saplings along trails that seem to bend and point in a particular direction, Trail Point Brewing Company produces a range of innovative and unique beers, including 5 Gallon Pale - American Pale Ale; Ale'ndale - Cream Ale; the award-winning Carlson's Killer Kolsch - German Lager; and Carpe Squeeze 'Em, among others, all of which can be enjoyed in the taproom which is open Monday through Sunday. Tri-City Brewing Company is a local microbrewery and taproom that produces and serves house-made drafts and brews and has a BYO food policy. Founded in 1995, Tri-City Brewing Company took its name from the three cities - Bay City, Saginaw, Midland located in the eastern part of the lower peninsula of Michigan, which is collectively known as the Tri-Cities and a hub for beer brewing. 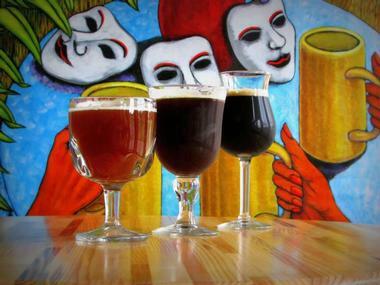 Signature draft beers include Hell's Half Mile, a German-style Helles Lager with a creamy white head; Tres Citrea Fermantar is a light body Belgian Ale with floral and lemon citrus flavors; Charity Island IPA brewed with 100% malted barley; Mr Sinister, a Belgian dark ale also known as Belgian Quad or Strong ale; and Fortunato, a Belgian-style Trappist Ale. Mountain Town Brewing Co., Photo: Mountain Town Brewing Co.
Old Boys’ Brewhouse Inc., Photo: Old Boys’ Brewhouse Inc.
Stony Lake Brewing Co., Photo: Stony Lake Brewing Co.